As a stylist for the city, I would love to see new and fresh designs for the men and women of our great city. However, I cannot afford them myself as a guild of one. So I am asking for donations of trade papers. These will be used to help bring new styles, textures and lengths into the city. I will be placing all the ideas here as well so the city can vote for themselves on what they wish to see the trade papers used on. Perhaps you could join forces with Monsieur Gracien, as he has been doing a lovely job as a stylist over the summer, and Miss Lidia, as she is also a stylist. I applaud your idea, but feel it would be more effective if you could garner resources that will benefit the three of you. Should they be willing to help, I would gladly welcome it! I am not a member of one by choice but I thank you so much for your suggestion. I shall reach out to those you have named. Also, any resources I gain would be for all stylists. Not just myself. Bow Ponytail: Worn halfway pulled to the back of the head in a sleek ponytail that has the shape of a bow while the rest of the hair cascades down the back in luxurious waves. 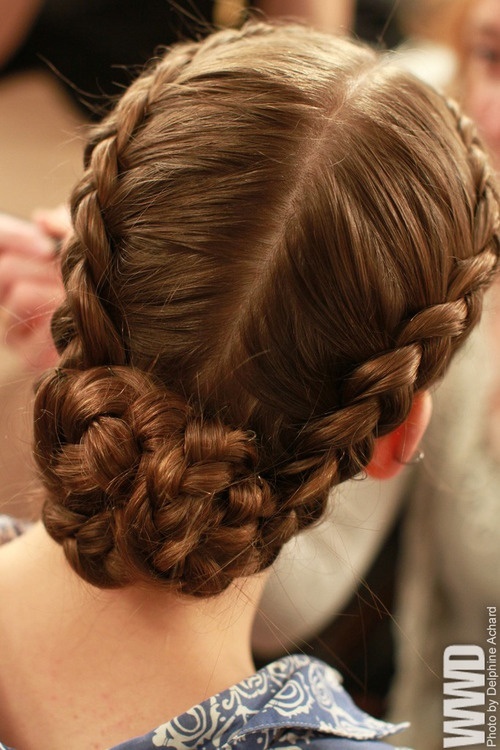 Cascading Braids: Worn in singular small braids that has been manipulated into a delicate cascade of braided curls. 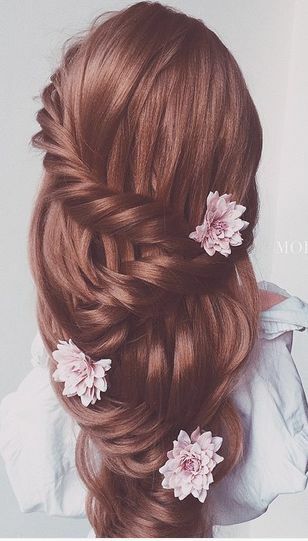 Criss-Cross Braided Bun: Worn upward in a simple updo styles where two small, braids cross at the back of the head and gingerly circle the neat bun atop the head. 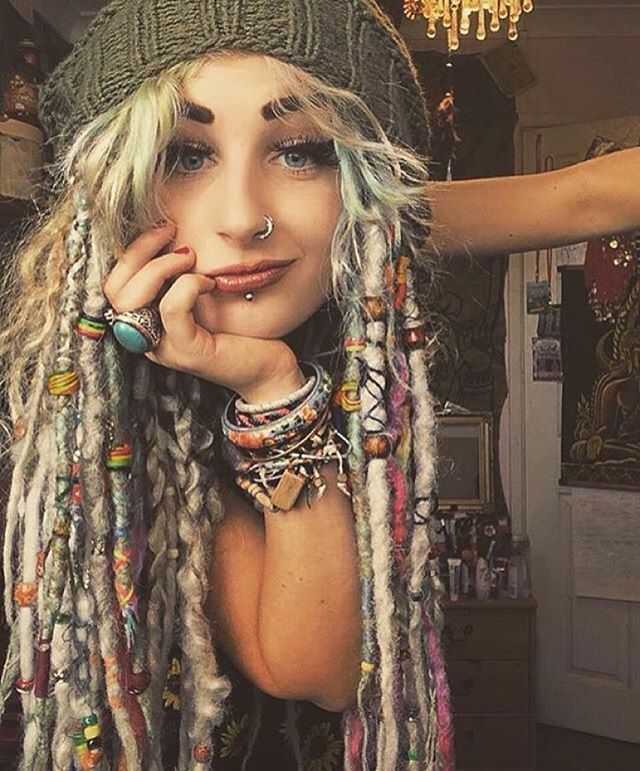 Decorative Dreadlocks: Worn in wild, wavy dreadlocks that has been colorfully woven with various beads and wrappings. Soft, Disheveled Curls: Worn in a sultry, disheveled style that consists of soft, loose curls that have been layered over the head with a central parting and split fringe. 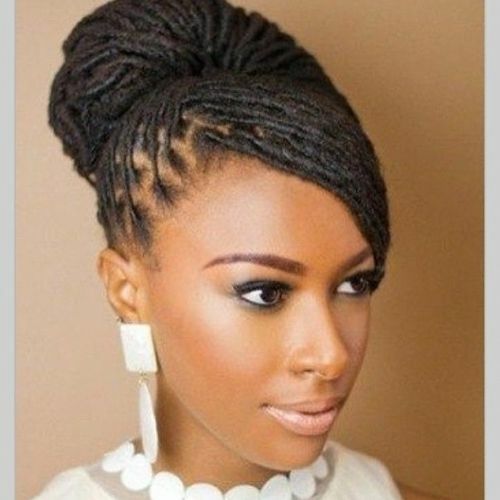 Dreaded Updo: Worn in sleek, elegant dreadlocks that has been gathered backwardly into a neat bun with sideswept bangs. Fishtail Side-Bun: Worn in an elaborate fishtail braid at the back of the head that elegantly sweeps to the side of the head in a neat, bun. Fishtail Side-Pony: Worn in side ponytail that has a loose fishtail braid luxuriously draping over the shoulder. French-Twist Bun: Worn in a classical side-parted updo style that neatly twists into an elegant bun at he back of the head, wispy pieces have been pulled to the sides to give a casual appearance. Half Bob: Worn in a short style where the entire right side of the hair has been cut low and slicked back behind the ear, leaving the top and left part of the hair free and curled against the forehead. Layered Brush Curls: Worn in long layered, voluminous brush curls that luxuriously tumble over the shoulders and and back. 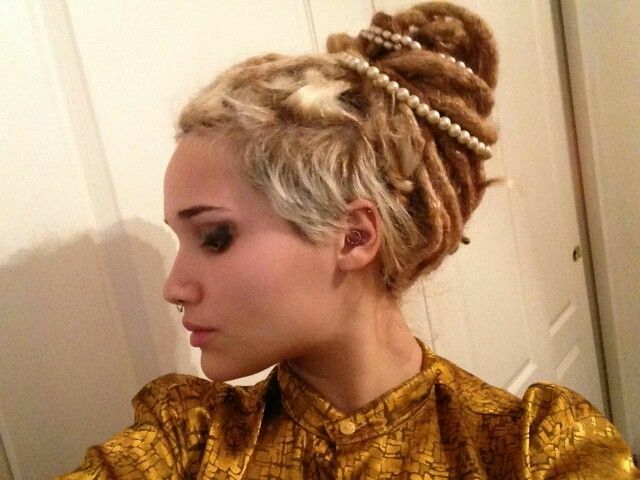 Pearled Dreadlocks: Worn in feminine dreadlocks that have been pulled into an elegant updo and wrapped with shimmering string pearls. 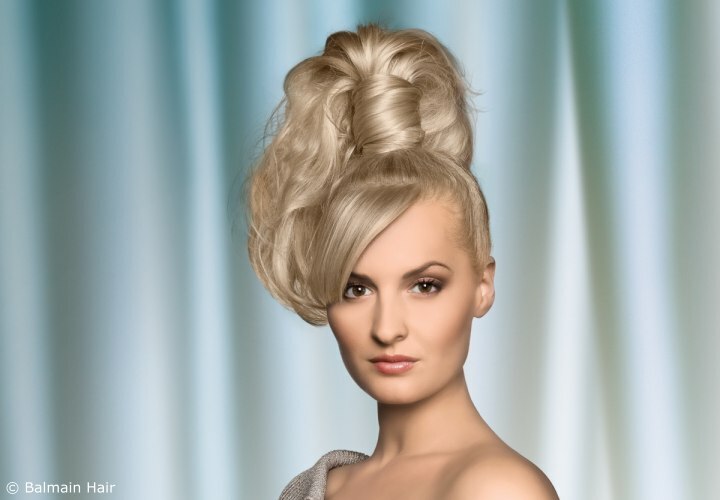 Seashell Updo: Worn in an intricate style that brings the hair into a unique, swirled bun that resembles a seashell. Short-Glossy-Coils: Worn in a sleek, silky style where the hair has been parted to the side and spills into perfect, voluminous coiled curls. 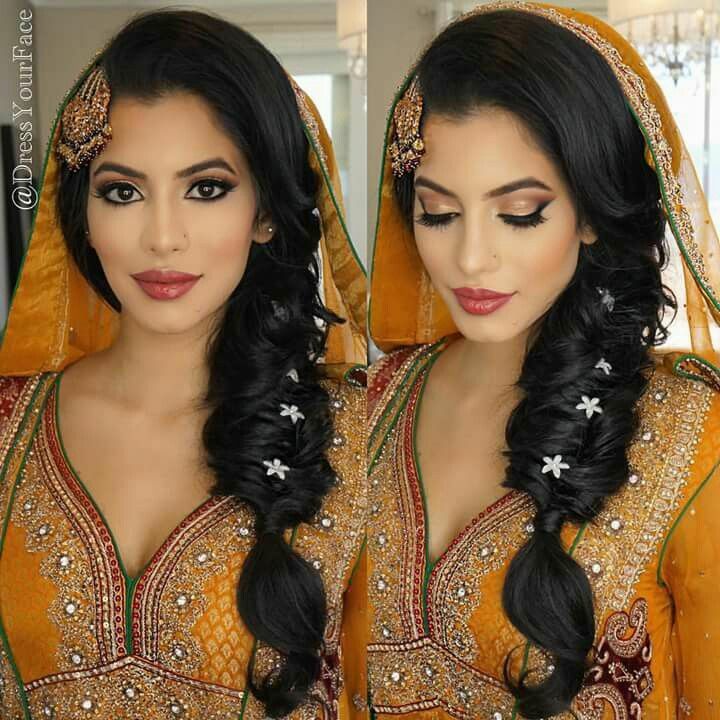 Side-Swept-Tight-Curls: Worn above the shoulder in tight curls that consists of a central parting and side-swept bangs. Simplistic Braid Duo: Worn parted down to center with each side gathered into a neat braid then gathered backward into a braided bun. Top-Knot Ponytail: Worn in a high ponytail atop the head with free hair wrapped around the base of the pony to lend a glamorous topknot ponytail, the front of the hair has been sideswept across one side of the forehead into dynamic bangs. Waterfall Braid: Worn in a luxurious, wavy cascade curl with an elegant waterfall braid woven in between at the back of the head. Wavy Undercut: Worn in a female hairstyles where the back and side is cut short and close to the head, leaving the top and opposite side longer with layers to give an asymmetric finish. Wild Curls: Worn in a medium long style with large swirly curls that have been manipulated to look wild, stringy and elegant with an upward fringe that gives a dynamic curve. Wispy Bob: Worn in a soft, wispy short bob style where the hair has been layered, to flawlessly intensify the wispy dimensions of the haircut.